We currently have a variety of fiber and companion geldings. The choices range from white that has fantastic fiber, to black. 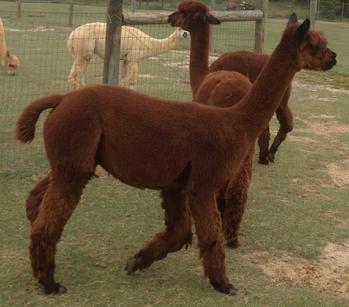 We will be happy to suggest potential alpacas for whatever role you may see for a gelding in your herd. We will soon be posting pictures of these guys as well. 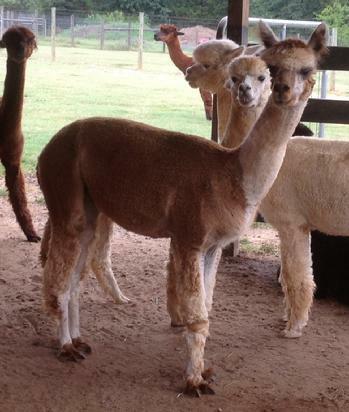 We look forward to having you visit to look at these and other potential alpacas for your farm. 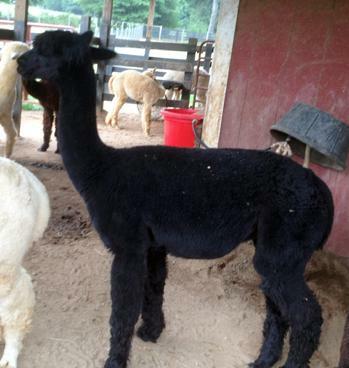 Mac is a true companion and has great fiber...personality plus added to his friendliness and you have one heck of an alpaca for your farm. Price: $950.00 $800.00 SOLD!! The Kid...born only seconds after Butch Kassidy...well, that is the story, he just missed being first on birth day and then...well, he is now a gelding and looking forward to being first gelding on a farm simply to look at and later use his fiber for home spinning or other things. The Kid is not a pet or a hugging dude...matter of fact, he is an alpaca simply to look at and harvest his fleece. He is not beserk, do not get us wrong, however, he does need a special owner. Take a look at this fella and then give us a call or drop us an email. MFI Fairbanks came to our farm having no show experience, nor apparent training for entering the show ring. Well, being of unsound mind, but with a game spirit, we proceeded in showing him as a three year old. Born on September 1, 2002, Fairbanks entered the show ring for the first time at three years and two months old! What did he do? Well he took first place in a small class…not bad for an old man! Since he did so well we put him with CMac and Legato to form our geriatric string for the 2006 season! He placed highly in all events! Of course there is a reason he did so well…after all his pop is MFI Peruvian Donovan and his granddad is none other than Accoyo PPPeruvian Augusto 6009. While Fairbanks is a definite white, he has a good line of color in his background, and would be more than happy to share all his fleece quality with you. This is just one example of our farm moving agressively toward the fiber side of our industry. We came to the final decision (a decision Fairbanks regretted) to geld this fine fella to preserve his fleece characteristics. You, unlike Fairbanks, will be glad we did...good personality combined with good fiber in this fine gent.